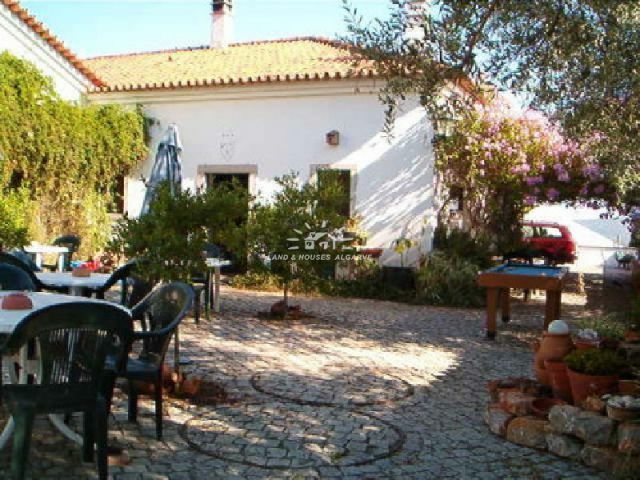 Renovated Portuguese farmhouse on an elevated, central location in the Algarve with beautiful views. 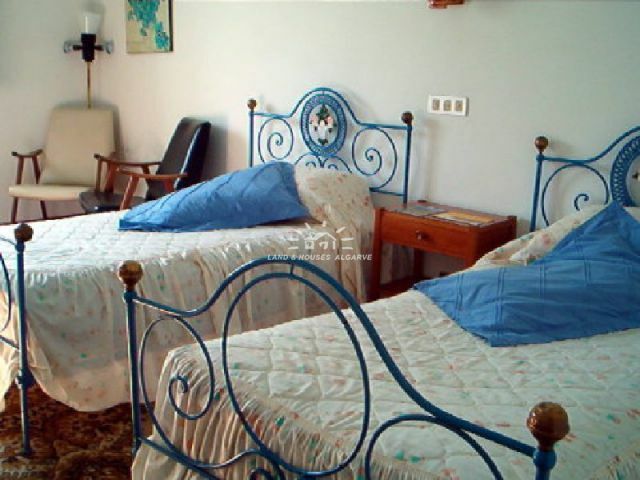 The accommodation consists of six large twin bedrooms with built in wardrobe and en-suite bathroom (possibility for one additional guest room). 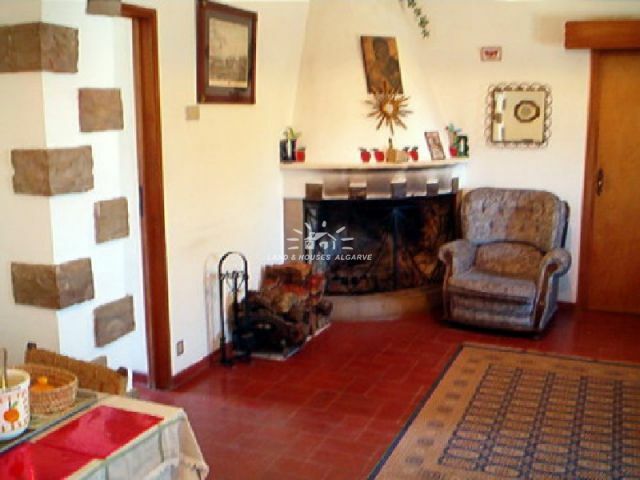 There are several reception rooms, a bar area and TV room, cloakroom, kitchen, a breakfast- and dining room with fireplace. Utility room and large loft providing ample storage. 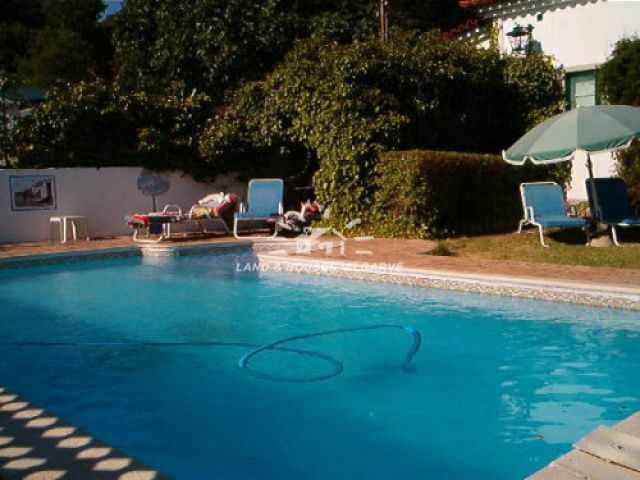 Floodlit swimming pool and outside shower surrounded by terraces and a mature garden offering a lot of privacy. 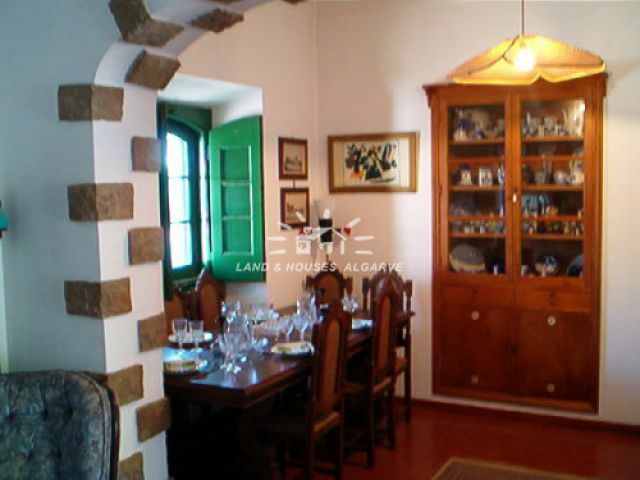 The farmhouse has been lovingly restored in 1969 retaining much of its original charm and character, has many typical Portuguese features and is in general in very good condition. However, it would benefit from modernization. Mains water, drainage and three phase electricity. Central heating. Broadband internet possible. Good access by tarmac road. Sold partly furnished. The farmhouse is officially registered as a guesthouse. Energy certificate class F.